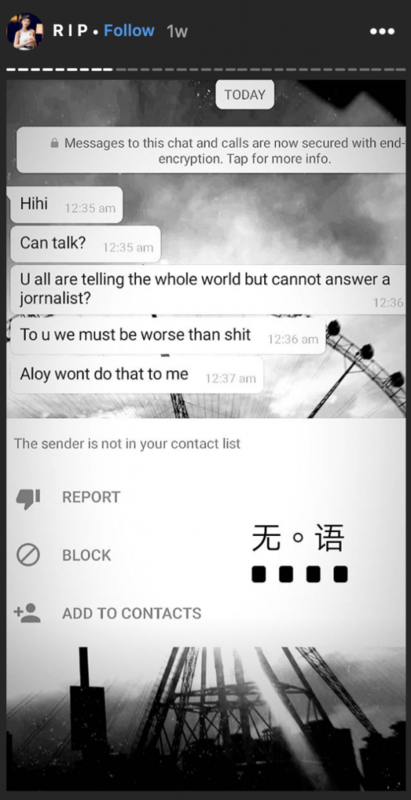 Singapore – In an Instagram story, actress Jaylee Woo has admitted that she “felt really bad” about posting the screenshot of a Chinese daily reporter’s aggressive way of asking for an interview regarding the late Aloysius Pang. The screenshot showed the reporter assuming that Ms. Woo thinks lowly of journalists and that “Aloy won’t do that to him”. Because of this, the online community was enraged at the reporter’s insensitivity and a petition has been set up pushing for disciplinary action for the reporter and his editor. To date, more than 6,300 have signed the petition. She continued to say thank you to everyone for the love and concern and to focus on the right things like spreading love and not hate. 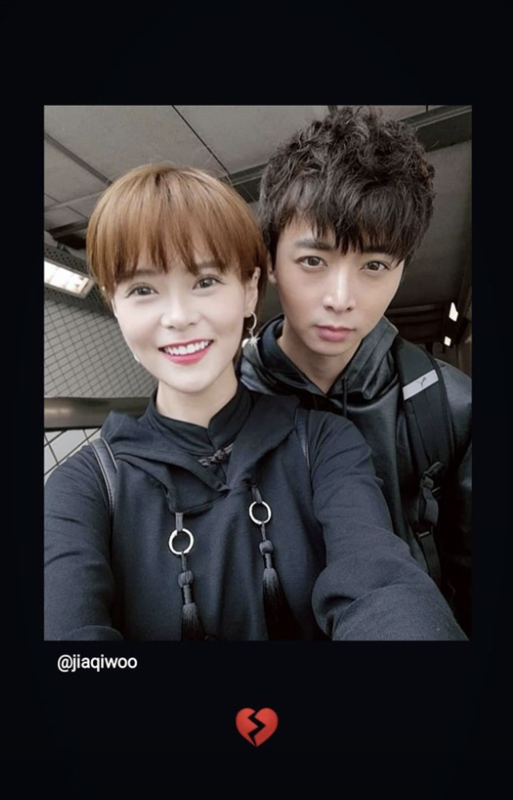 Aloysius Pang’s oldest brother has also spoken up on the issue via the late actor’s agency, NoonTalk Media and a statement has been released on their Facebook page. Jefferson Pang mentioned that “Silence is wise” when it comes to commenting more than necessary and how “there is always a right time for everything, and that was not the time”, with regards to reporter Ang Ming Hwa harassing Ms. Woo. He continued by extending his apologies to the reporter and gave him the benefit of the doubt that it was a “one-time blunder.” He then asked for the reporter to continue writing about the good experiences the latter had with his brother. The post elicited over 3,000 reactions with many commending on the proper upbringing the Pang brothers had. The issue started when Jaylee Woo and her twin sister Haylee shared the screenshots of the reporters harassing them to get an interview covering Aloysius’ death. The incident quickly went viral on social media with online personalities like Xiaxue and Dee Kosh having tracked the reporters and identified them to be Ang Ming Hwa, Lianhe Zaobao and Lianhe Wanbao. With names revealed, netizens have started the petition in hopes of legal action being taken against the reporters.